Long viewed as a kind of British 'Area 51' , the vast underground complex at Corsham, Rudloe Manor, Box near Bath, England was the wartime home of a joint War Office / Admiralty ammunitions store. Less well known however is its cold war function as home of a vast collection of retired steam locomotives - the legendary strategic steam reserve. 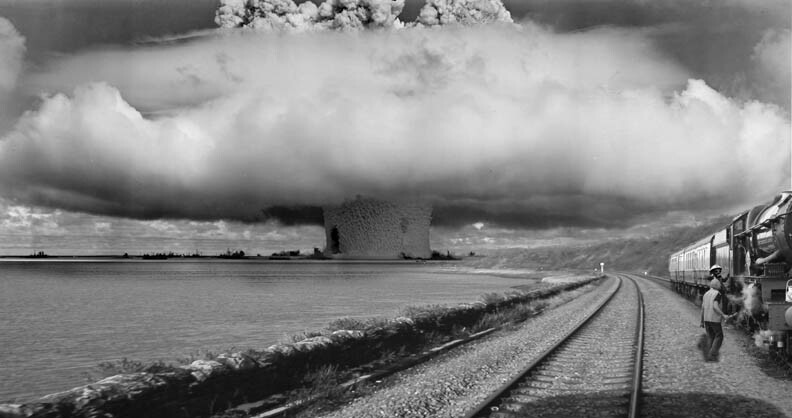 The Strategic reserve was created as a means of providing a rudimentary transport infrastructure in the period immediately after a nuclear attack. Long viewed as a kind of British 'Area 51' , the vast underground complex at Corsham, Rudloe Manor, Box near Bath. The complex was not however, excavated for military use being originally a quarry for the famous Bath Stone. 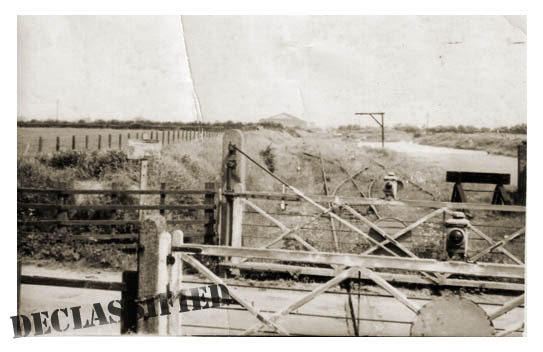 Parts were also used as an ammunition store as well as a large district which was earmarked for government office and residential use. Rudloe Tunnels near Bath, England was the home of the UK Government nuclear war headquarters. This secretive outfit was buried (literally) deep in the west country at Corsham, home of the uk top secret strategic steam reserve just outside Bath, England. The secret underground reserve at Rudloe operated in a section of the huge underground quarries at Corsham in Wiltshire and provided acres of underground secure space for the storage of steam locomotives. An unidentified American unit on manouvers near the Strategic Reserve in August 1948. 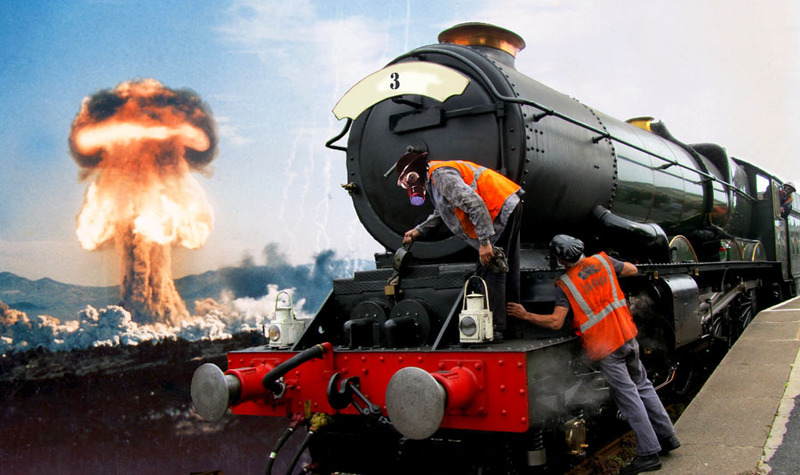 Note that the censor has blacked out the locomotive in the background. All strategic reserve locomotives had their numbers removed to prevent identification. Although the main part of the strategic steam reserve was stored in the Corsham quarries there were sub depots at varies locations throughout the UK which could hold up to a couple of dozen locomotives. 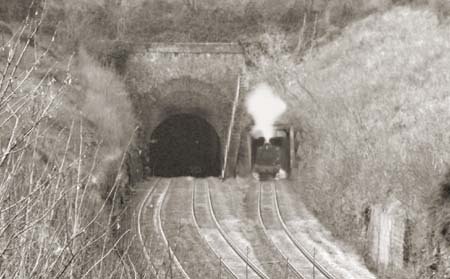 Conspiracy theory buffs have suggested the original Woodhead tunnels on the former trans-penine Sheffield-Manchester route as the possible location of a northern strategic reserve. 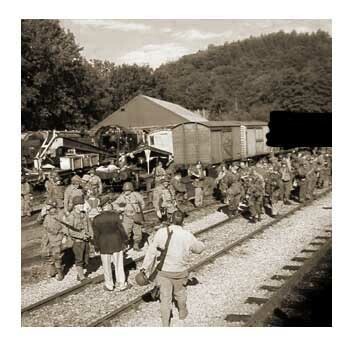 Craven Arms was also considered as another location for the SSR and the secret government command train. After hostilities ceased, Corsham was 'mothballed' untill 1954 when increasing cold war tensions required the creation of a 'strategic steam reserve' for use in the aftermath of a nuclear attack. British Railways Standard Class and ex Great Western Railway steam locomotives were withdrawn from time to time and kept in storage ready for use after 'the balloon had gone up'. As well as acres of secure storage space, the underground galleries were fitted out with machinery and workshops. Workers at the reserve were mostly ex - R.E.M.E or Royal Engineers and these former services employees who were fitters, metalworkers, machinists etc. formed the skilled pool of local labour, necessary to keep the stock of over over 160 locomotives in working order. As late as 1982, long after the demise of steam on Britains railways, a small staff of dedicated personnel were still carrying out care and maintenance on the stock of slumbering giants and awaiting 'Attack Warning Red' - the code from the Royal Observer Corps which would activate the reserve contingency plan. The locomotives were generally taken over at the end of their alloted span on B.R by crews from the Royal Engineers, who had been trained on the relevant class on the Longmoor Military Railway. The engines would be run light to a number of depots around the UK. They were then prepared for storage and diesel hauled to the SSR in Corsham or Woodhead 1. They would also be removed from the B.R. records and listed as scrapped. 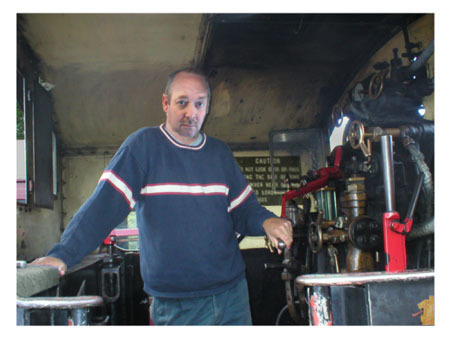 The SSR's senior fitter Bob Watson on the footplate of an unidentified locomotive in June 1979. It was government policy for the numbers on all strategic steam reserve locomotives to be removed or painted out to prevent enthusiasts recognising 'withdrawn' engines. Test runs such as this one were a regular occurence and usually took place on M.O.D. property well out of view (and earshot!) of the public. Unlike their diesel and electric counterparts, the steam locomotives had no electrical or electronic control systems which could have been affected by the electro magnetic pulse created by a nuclear explosion. They also required no imported fuel oil or electricity which would have been in very short supply after an attack. A run out for an ex GWR 'Hall' class 4-6-0 in March 1975. The Loco Nameplates and Numbers were always removed as part of the mothballing process although the 'cats whiskers' indication that this is condemned rolling stock are still visible through a thick layer of dust on the cabside and outside cylinders. The SSR in action - An unidentified loco shunts outside Corsham in October 1979. For ease of maintenance, the SSR consisted almost entirely of freight and mixed traffic ex GWR and BR standard classes with a sprinkling of Riddles 'Austerity' designs. It wasn't too far to Swindon if any parts were required! 'They were in good nick as we'd kept the boilers filled with de-oxygenated water and although none of them had official boiler tickets, we were exempt and could fire them up for test runs. I never worried as we had a retired boiler inspector of 35 years experience on the staff and if he'd fire it I'd drive it! We had a regular greasing and maintenance schedule and we'd take one at random every two or three months and fire it up for a day to make sure it was o.k. I was sad, we all were, when the engines were scrapped. I'd expected them to go over to Dai Woodham ( A scrapyard in Barry, South Wales. ) where I reckon most of them would have ended up being preserved but the government at the time was very sensitive about anything to do with nuclear war after the Greenham Common women and all the protests. It was budget cuts that led eventually to the decision to decomission the steam reserve.That and the fact that the preserved railway movement was growing and there were locomotives and staff that could be requesitioned in an emergency and cost the government nothing to maintain! Bob and his colleagues even had their own pub on site! The 'Rose and Crown' bar over 90 feet underground was a favourite haunt of the work crews! Although the SSR consisted entirely of steam locomotives, two diesel shunters were used for moving the stored locomotives. 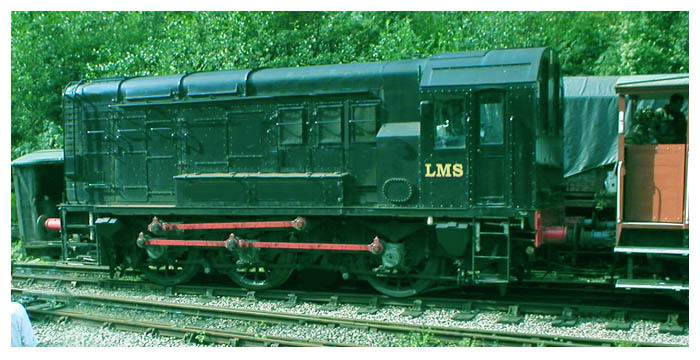 This ex-LMS 70XX class diesel shunter was built in the 1930's by Hawthorn Leslie and retained for use at the Strategic reserve as the standardised 08 shunters were being introduced.